Pure Data (aka Pd) is an open source visual programming language that can run on anything from personal computers and Raspberry Pis to smartphones (via libpd, pddroidparty, and Rjdj). Pd enables musicians, visual artists, performers, researchers, and developers to create software graphically without writing lines of code. Pd is used to process and generate sound, video, 2D/3D graphics, and interface sensors, input devices, and MIDI. Pd can easily work over local and remote networks to integrate wearable technology, motor systems, lighting rigs, and other equipment. 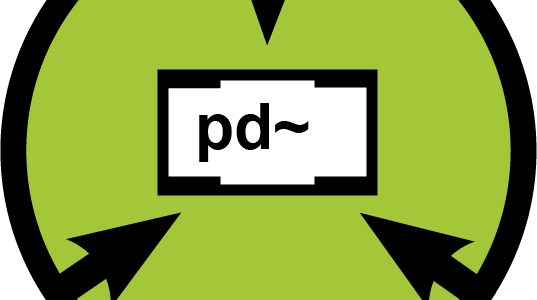 Pd is suitable for learning basic multimedia processing and visual programming methods as well as for realizing complex systems for large-scale projects. 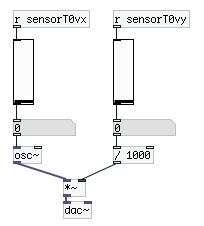 This is an Android app for sending sensor data to Pd patches. Depending on your Android version and your device, a number of sensors are available for apps to read. This app enables you to load a Pd patch and send this data as float to a receiver. 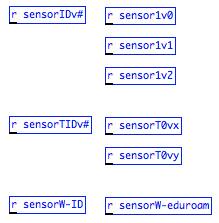 You can also send bug reports or feature requests to pd-bugs@sensors2.org. Please try to be as specific about your problem as possible. Copyright (c) 2014 – 2017 Thomas Mayer, Antonio D. de Carvalho J.